The diverse terrain of Nevada attracts a full range of athletes. From those looking to tackle rock climbing, try some extreme mountain biking, or hit the rapids, this is the place to push your sports skills. 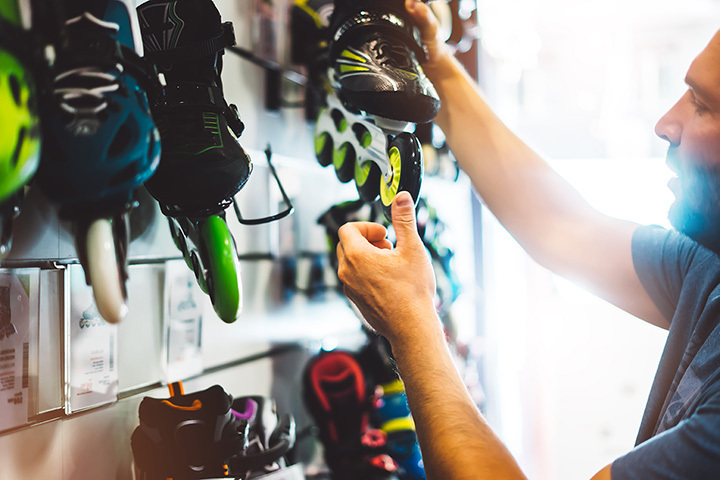 With all of these great sporting opportunities, it’s no surprise the state also has some of the best sporting goods stores around. Explore our picks for local shops that can get you exactly what you need to take on the great outdoors in Nevada. This shop is the go to expert for extreme sporting supplies in Las Vegas. Whether you need new gear for rock climbing or to rent bouldering pads, this is the best place in town for anything related to climbing. They really know what they are doing and can make sure you have the best supports for everything from a beginner to the pros. Team sports and school activities are their specialty. Whether you need equipment or uniforms custom printed, they treat locals like family here. They have been a part of the local community since 1964 and many grow up getting all sorts of things here like t-shirts printed and dance team supports. This regional small chain is a staple of many communities but the Sparks location is the next level for families. Not only do they offer a wide range of products for just about any desert or water sport you can think of, this particular location is known for some special in-store features that will keep you family engaged all day. Ready to hit the local slopes? This is the place to rent or buy some of the best ski and snowboarding equipment on the market. They also offer a range of extreme biking gear many use during the summer months. This family-run business opened in 1989, and has been supporting high school sports ever since. They focus on the best of made-to-order clothing and equipment as unique as their customers. They also offer things like engraving for equipment. Their selection of both sports related clothing and gear makes them a great place to start when you are looking for sporting goods. Their prices are budget-friendly and they offer both beginner and mid range equipment. Locals enjoy the fact that they run specials often and have a very supportive staff to answer questions. This is the best place in Las Vegas to find college and pro team jerseys. They offer everything from the big teams to smaller, local favorites. If there is a jersey or fan gear you want, there is good chance these guys can get it for you. Their prices are also reasonable. For many campers, hunting is also a part of the outdoor adventure. For locals in Reno, they offer everything you need to make that next hunting trip a success. These are true hunters who support others hunting to support their family needs. Reno is one of the best places in the state for golf and this is a must stop along the way. They have the best equipment and many staff that can help you find the perfect fit for clubs. While they have a pretty big selection on site, they can also do orders for rarer items. This is also a fun place to look for golf clothing as well. A family-owned favorite, this business is known for fast and amazing service. They cover everything related to most school sports and do quick printing on-site. A well-established part of the community, their work is trusted and reasonable.